The Vodafone Fiji Bati side keeps their 2017 World Cup dream alive after an incredible win over the Kiwis last week, but now face the daunting task of taking on a red-hot Kangaroos side. The Fijians will now face a completely different beast when they take on the Kangaroos in the semifinals for the third World Cup in a row. Australia have shown no signs of slipping up in the World Cup so far, and looked to be in cruise control for the majority of their 46-point demolition of Samoa in the quarterfinals. 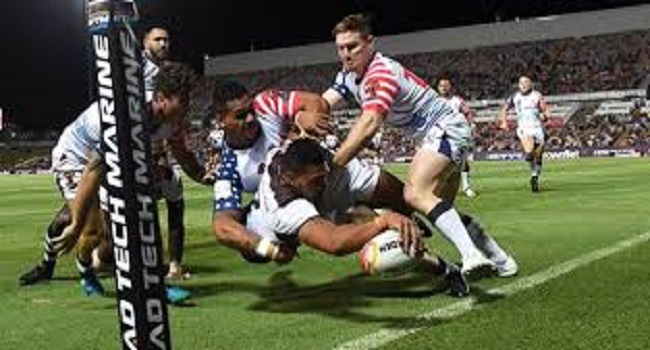 While both sides have shown off their attacking flair in the tournament so far — combining for 322 points — perhaps the most impressive statistic for both sides has been their defence, with only 40 points conceded between them and no tries against in their respective quarterfinals. The Bati takes on the Kangaroos at 10pm tomorrow in Brisbane.